The EUROTAS Division of Transpersonal Research (EDTR) is a division inside EUROTAS devoted to research in the field of transpersonal psychology, Psychotherapy, and the broader social and human sciences. The specific aim of EDTR is to promote and expand the body of knowledge and to advance the state of the art of research in the field of transpersonal psychology, psychotherapy, and alternative healing practices. Research is deemed necessary for accreditation in some areas of health and social service such as educational institutions and health organizations. It is important that we are able to share our Transpersonal views, increase people’s awareness of spirituality and the promotion of higher levels of Consciousness, provide expert support for the development of transpersonal psychology in European countries and overseas and develop professional and academic networks globally. The Chair of the EDTR Core Team Regina U Hess, PhD, is a clinical psychologist and body-oriented transpersonal psychotherapist (Germany), PhD in transpersonal transcultural psychology (USA/UK), international researcher, speaker and teacher. Core member of the International Institute for Consciousness Exploration and Psychotherapy. Board of Directors of the European Transpersonal Association and International Transpersonal Association. Co-founder of the Transpersonal Research Network. Various international publications, which include co-editing and contributing to the books (2017) Coming Home: The intimacy of consciousness exploration and transpersonal psychotherapy; and Metamorphosis through conscious living: A transpersonal psychology perspective. Giovanna Calabrese, MD, PhD, is an Italian psychiatrist and transpersonal psychotherapist, with a background in research using both a quantitative approach in the field of neuroimaging and qualitative methodology to explore non-ordinary state of consciousness. She practices and teaches research methodology in Italy. Lindy McMullin, has completed her PhD in the application of Ancient Greek myth and music in personal, professional and transpersonal development. She is the author of A Soul’s Journey, the Essence of a Spiritual Path towards the Transpersonal (2014), and co-editor of and Metamorphosis through conscious living: A transpersonal psychology perspective (2017). She is in private practice as a transpersonal psychotherapist, educator and researcher in Greece. EDTR for Professional/Academic/Research Member: For those holding a degree in human sciences (psychology, philosophy, social, educational) actively involved in research. Candidates must submit published articles in peer reviewed journals, and/or abstract of meeting presentations, books. Membership fee 80 Euros. EDTR for Student Member: For university graduate students in human sciences (psychology, social, education), actively involved in research projects. Candidates must submit an abstract of an ongoing project. Membership fee 50 Euros. “2 for 1” Combined Membership for ESTP and EDTR: for EUROTAS members with ESTP who qualify for the EDTR membership Membership fee is 80 Euro. 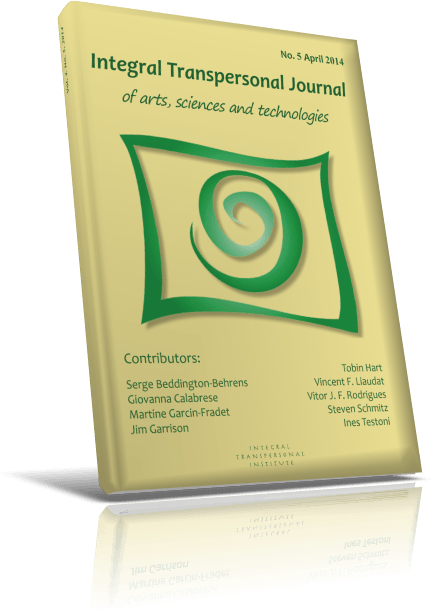 Journal database: EDTR academic/research membership holder have free online access to the Integral Transpersonal Journal. 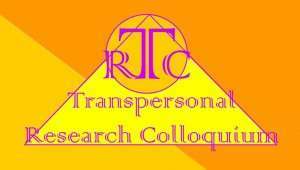 Reduced fee for the Transpersonal Research Colloquium. The EDTR Research Ethics Committees consists of research experts from the field of transpersonal psychology and psychotherapy and of related interdisciplinary fields. EDTR offers this service of research proposal review to particularly support independent researchers (academic and students) in the field Its aim is to support the researcher to safeguard the rights, safety, dignity and well-being of research participants, independently of research sponsors. The EDTR-REC members offer to review research proposals, give feedback about the proposed participant involvement and the research ethics. The EDTR-REC is entirely independent of research sponsors (i.e. the organisations are responsible for the management and conduct of the research), funders and investigators. This enables the reviewers to put participants at the center of their review. The service will be based on a service fee. Pier Luigi Lattuada of the Integral Transpersonal Institute, Milan, Italy and Sofia University Palo Alto Ca is a Medical Doctor. He has a Ph. D. in Behavioral Studies and a Psy. D. in Clinical Psychology. He is also a Psychotherapist. 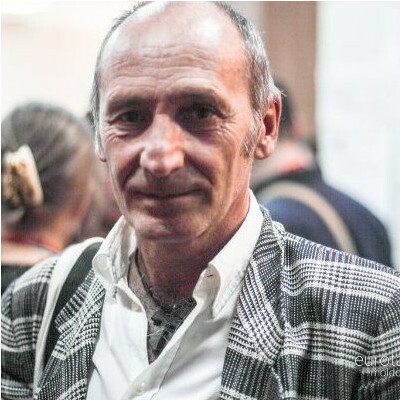 Founder of Biotransenergetics, Pier Luigi is the Director of the Transpersonal Psychotherapy School in Milan, which has been fully recognized by the Ministry of Education University and Research since 2002. He is also director of the Training in Transpersonal Counseling. He is Adjunct Faculty at Sofia University, Palo Alto, CA and Faculty and chair of BA on Integral Transpersonal Psychology at Ubiquity University. Past medical director of Lifegate Holistic Medicine Clinic of Milan, Scientific Director of Integral Transpersonal Journal. He serve as co-Vice-President of EUROTAS. Pier Luigi has published sixteen books since 1985, more than 30 articles since 1980 and presented Biotransenergetics in more than 50 International Conferences in several countries: Italy, France, Spain, Austria, Moldova, Latvia, Switzerland, Russia, Bulgaria, Romania, USA, Brazil, Greece since 1988.
will be held at the Naprstek Museum of Asian, African, & American Cultures (http://www.nm.cz/Naprstek-Museum/) in the heart of the Prague Old Town on October 2-3, 2017. In my new role as Head of the Board of Reviewers of the Integral Transpersonal Journal (ITJ), I would like to briefly introduce myself and outline the aims of the peer review and the process involved. My educational background is in clinical psychology and psychia­try (University of Heidelberg) and integrative body-centered Gestalt therapy. For more than 15 years I have been working as a practi­tioner. The inclusion of spiritual dimensions and expanded states of consciousness has always been important for my work. As a clinician, I have been especially interested in intertwining practice and theory. To deepen my knowledge and gain further skills, I took an additional degree, a PhD in transpersonal psychology (Sofia University, U.S.) and in qualitative research, particularly embodied phenomenolo­gy (Centre for Qualitative Research, Bournemouth University, UK). A strong combination of practice and theory through research and publications in the field of transpersonal psychology is what I bring to my position as head of ITJ’ peer reviewers and I hope to use it, to passionately serve and shape the transpersonal field internationally. Articles in scholarly journals contribute to the fund of scientific knowledge in a particular field. To ensure that the work is original, valid, and significant, scholars in equivalent fields review the manuscripts submitted. Since the last century, scholarly peer review has been the major mechanism by which the quality of research and academic publications is judged. Peer review is based on the concept that peers with similar expertise may critically review the quality of each other’s work. As part of the publication process, it can be a valuable tool for improving the quality of a manuscript. Peer review has its limitations, and has been accused of being highly subjective and even a vehicle for exploiting or intimidating authors. To reduce these dangers, we at ITJ have implemented a commonly-used process of peer-review that ensures quality, understanding and fairness between reviewers and contributors and involves the reviewer and author working dialogically in several stages on the development of the final manuscript for publication. The principle that we at ITJ adhere to is that peer review should be responsive, competent, unbiased, confidential, secure, constructive, and responsible. During the review process, the document is seen as a confidential text owned by the author. The peer review primarily focuses on eliminating plagiarism, clarification of terms and writing, and general improvement of the flow of the text. Special support is given to contributors having English as their second language. We also assist with the application of the citation guidelines and referencing system of the Publication Manual of the American Psychological Association (APA, 6th edition, 2010). Information about the reviewing process and the style guide is available for download on ITJ’s website. However, the peer-review process is not static, it is a lively endeavor that will continue to develop over time. ITJ is a collaborative effort to ignite ideas and initiate fresh dialogues to move the transpersonal approach forward on a spectrum from inner life to our participation in social realities and non-ordinary states of consciousness. We invite a wide range of contributions from practitioners and researchers from interdisciplinary fields interrelated with transpersonal psychology. Specifically, our range is not limited to psychotherapy but is open to healing approaches from different traditions. By ITJ, we look forward to receive your contributions and answering any questions about relevant topics. Regina U. Hess holds a joint doctorate between Sofia University (Institute of Transpersonal Psychology), Palo Alto, U.S. and the “Centre for Qualitative Research”, Bournemouth University, UK. 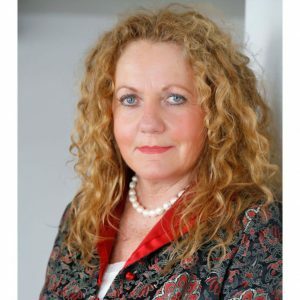 She has two decades of clinical experience in Germany as a registered nurse, a graduate clinical psychologist and an integrative body-based Gestalt psychotherapist. Regina is a visionary, with a primary research interest in the study of borderland states of consciousness and the impact of holistic healing practices for the transformation of trauma, and in pioneering global transpersonal research projects. is a transpersonal psychotherapist with a private practice in London and Surrey, UK. Following the advent and influence of Eastern philosophies on the Western mind, karma is a well-known yet often misunderstood concept. In the West, karma is often associated with punishment, suffering, and fatalism. However, according to Buddhist thought, karma is not a retributive law but a non-linear, dynamic force that works in feedback loops to provide moment by moment opportunities for transformation. Karma’s domain encompasses ethics, and can be understood as a force that initiates a struggle for health and wellbeing. One of karmic doctrine’s true purposes is to situate awareness on the creative potential held within the present moment. As an empowering principle of self-transformation, karma can be defined as “intentional acts that enable psychological rebirth in life.” Drawing upon the teachings and beliefs of early Buddhism, this article traces the historical origins, meaning, and function of karma in order to explore its current meaning, relationship and value to transpersonal psychology. karma, Buddhism, transpersonal psychology, self-transformation, Eastern philosophy, rebirth, ethics. One of the founding fathers of transpersonal psychology in the UK. His books include The Transpersonal: Spirituality in Psycho- therapy and Counselling (2nd edition), Healing the Male Psyche, The Therapist’s Use of Self (with Michael Jacobs) and Ordinary Ecstasy (3rd edition). He has been leading groups since 1972. He is a Fellow of the British Psychological Society, the British Association for Counselling and Psycho- therapy and the United Kingdom Council for Psychotherapy. He is in private practice. We are becoming familiar with the ideas of First Tier and Second Tier thinking, from the work of Beck & Cowan (1996) and Wilber (2006), but little has been written about Third Tier thinking, which is mentioned briefly in the latter book. It seems that the time has come to give it some consideration, and this is the purpose of the current short paper. In the new Millennium, the Western discussions on death have became infinite, since the borders between natural life and death have been blurred by technique and bioethical discussions begun. The problem involves all the most important disciplines of psychology, sociology, philosophy, and it is a specific focus of many counseling techniques interested in support of mourners. In this article we consider the importance of psychological counseling and its position opposite the religious one which seems to be the best answer to spiritual instances of dying persons. Key words: mourning, counselling, death representation, death anguish, terror management theory.